Uncertainty still dominates the middle of the nation, but weakness, vulnerability, and fragility have, unfortunately, being gaining territory. For results from previous surveys, see this earlier post. How Ambitious is Pawlenty’s Growth Goal? Let’s grow the economy by 5%, instead of the anemic 2% currently envisioned. Such a national economic growth target will set our sights on a positive future. And inspire the actions needed to reach it. By the way, 5% growth is not some pie-in-the-sky number. We’ve done it before. And with the right policies, we can do it again. In the aftermath of the Great Recession, it wouldn’t be surprising to see a couple years of strong growth at some point. Let’s hope it’s soon. But could we have remarkably strong growth for a full decade, as Pawlenty hopes? His two examples don’t inspire confidence. In each case, strong growth ended in four years or less. 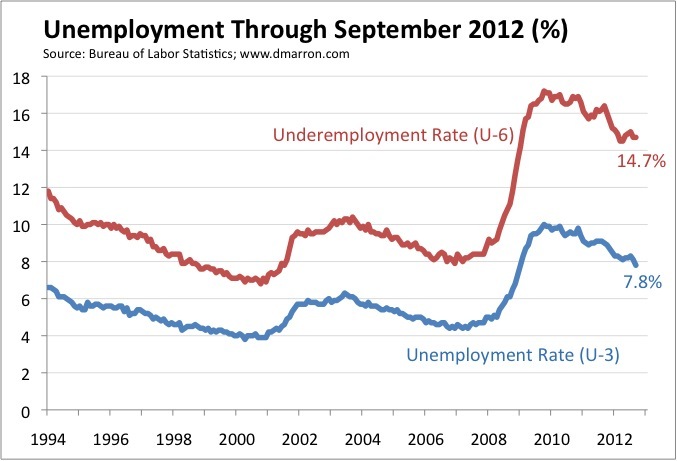 So when was the last time the United States grew at 5% for a full decade? Mid-1958 through Mid-1968. Over that span, U.S. growth averaged exactly 5.0% per year. 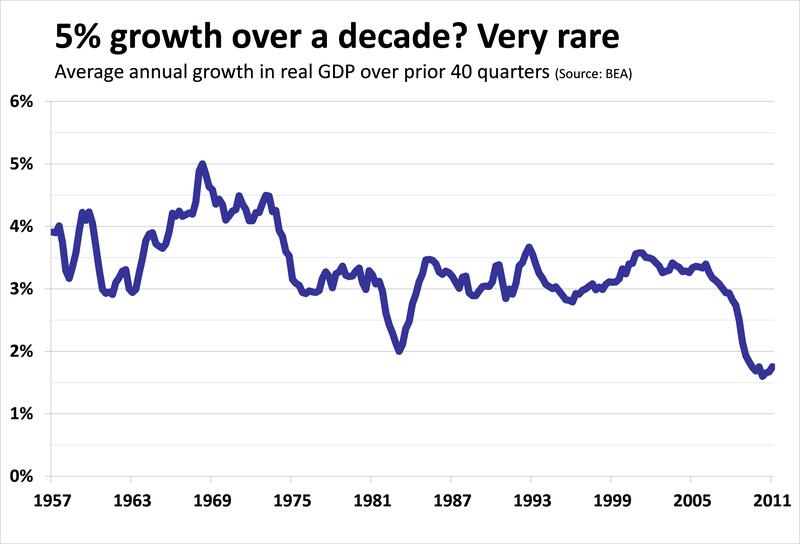 Growth hasn’t reached even 4% over any decade since the late 60s and early 70s. Getting up to 5% over the next decade thus seems not merely ambitious, but almost unthinkable. 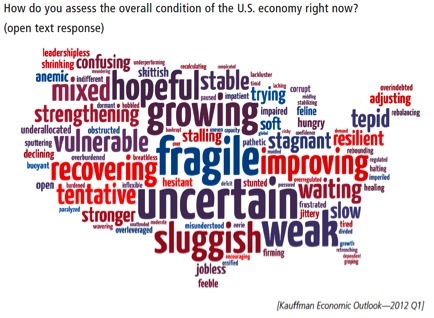 Of course, a few years back many would have said the same thing about getting the U.S. growth rate down to 2%. Until the Great Recession, there was only one ten-year stretch in the post-war period, ending in early 1983, in which growth averaged as low as 2%. Sadly, we’ve broken that record handily. Over the past ten years, growth has averaged a meager 1.8%. So maybe T-Paw’s right, and the economy can break out to the upside just as we’ve done to the down. But I wouldn’t bet on it, regardless of who is president. P.S. The quarterly data I use here are available since 1947. Annual data go back to 1929. Perhaps not surprisingly, every ten-year period ending in 1941 through 1951 had an average growth rate of 5% or more, thanks to World War II and the rebound from the Great Depression.